ALa Theatre for Change will give a workshop where the participants will be exploring ideas and values around sustainable living. Special Event in the ECOhub (Galway2020 hub) this evening at 7.30pm. We’re very lucky both to get both the film and have the film maker along for a discussion afterwards! 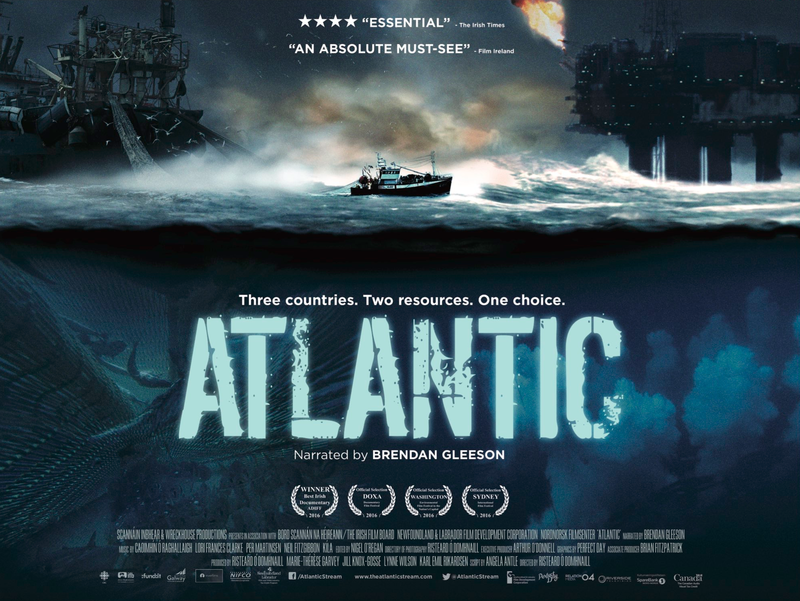 Directed and Filmed by local film maker Risteárd Ó Domhnaill who will be in attendance for a Q&A Session. As the oil majors drive deeper into their fragile seas, and the world’s largest fishing companies push fish stocks to the brink, coastal communities and the resources they rely on are fast approaching a point of no return. 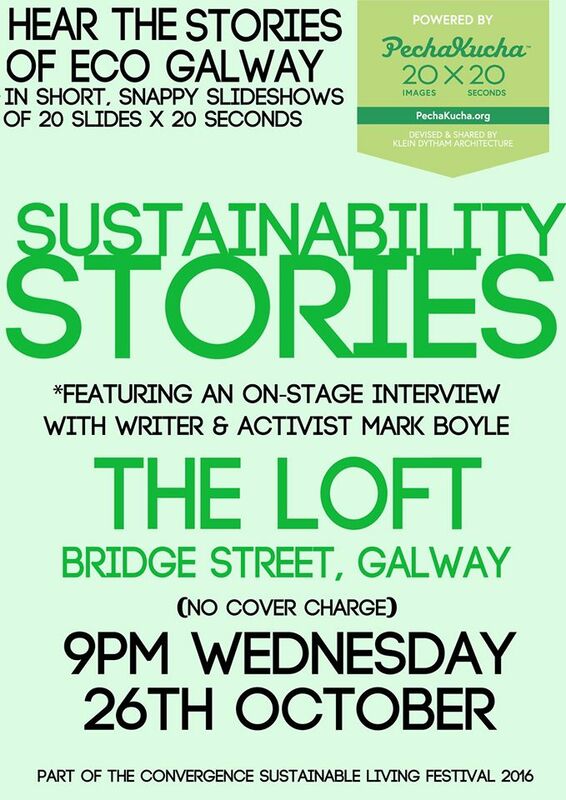 A night of local activists, groups and NGOs telling their sustainability stories in The Loft, Bridge Street, Galway between 9pm-11pm on Wednesday 26th October. As part of Convergence Sustainable Living Festival 2016 Transition Galway is running what is called a PechaKucha which will be followed by an interview with writer and activist Mark Boyle. PechaKucha is an exciting presentation format where guest speakers show 20 images, each for 20 seconds. The images advance automatically and the speakers talk along to the images – this keeps presentations concise, fast-paced and fun. The title for this PechaKucha is ‘Sustainability Stories’ and will feature a wide range of local environmental activists, NGOs and groups who are all working to make Galway a more resilient and sustainable place. ECOHub All week: 24th – 28th Oct @ Galway 2020 hub. 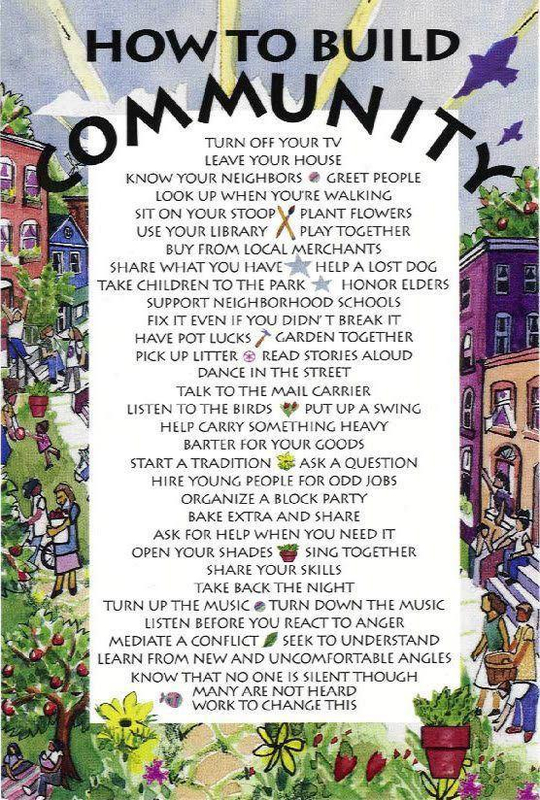 A NEXUS OF ECO TALKS, CONVIVIALITY AND COMMUNITY. During this year’s Convergence Festival Galway’s ECOHub and pop up Sustainable Living Centre will host a wide variety of exhibitions, thematic talks, workshops and films on Sustainable Living, Environmental campaigns, EcoActions, information leaflets, publicity banners etc from Monday 24th until Friday 28th in the Galway 2020 Community Hub in the Cornstore. POST CARBON GALWAY – Accelerating the transition to a low-carbon, healthy and sustainable region.